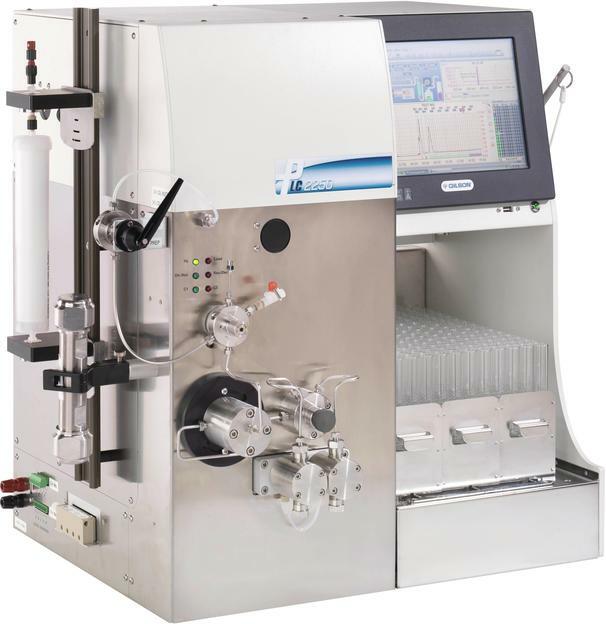 The PLC series of Gilson bundles the entire preparative chromatography equipment on a footprint of only 59 x 62 cm - without sacrificing performance or functionality. 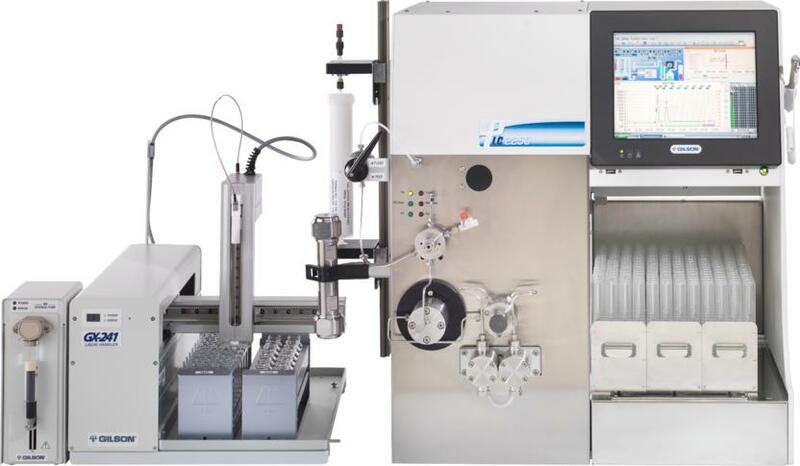 The high and low pressure system offers maximum flexibility and allows FLASH and HPLC applications on a single powerful and flexible platform. 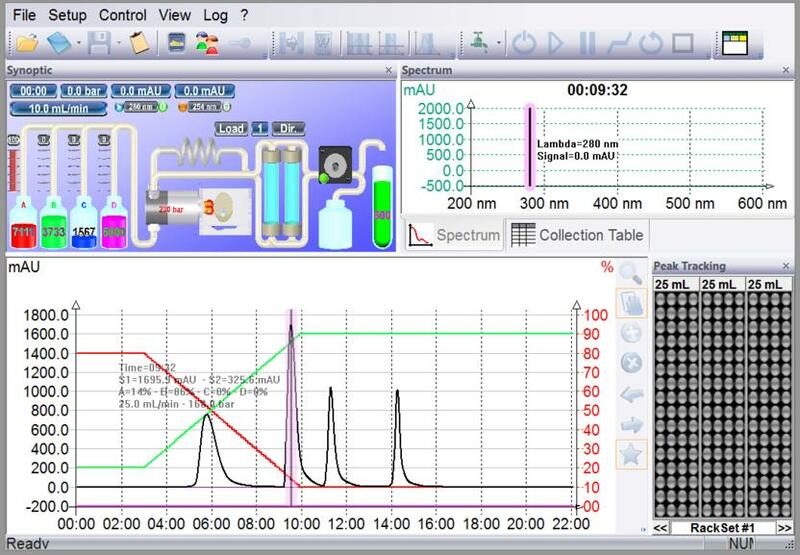 By connecting the chip-based all-in-one MicroMS mass-specific purification becomes possible for every lab. 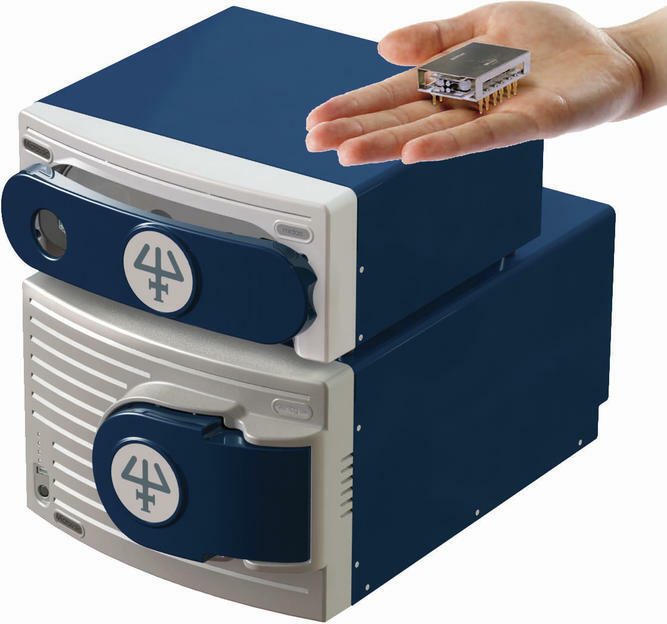 The very compact single quadrupole mass detector has an integrated PC and requires no additional pump, thus is less noisy, low in power consumption and saves resources. Cleaning and maintenance are easy and inexpensive and can be done by you. 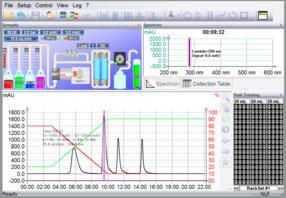 The PLC is operated with the intuitive software Glider Prep. The built-in 10.4 '' touchscreen gives access the current run with color-coded fraction positions and allows adjusting the current method parameters during the run. The Gilder Prep Software methods can be created directly on the device or on your own PC and transferred via USB to the PLC. Numerous external detectors are already created in the software an make it very easy to connect and use external detectors such as RI, ELS or MS. The purification can be done by FLASH cartridges of 2.5 g to 600 g and more or HPLC columns from 10 to 100 mm. It is also possible to use a CPC (Centrifugal Partition Chromatography and liquid-liquid extraction) - for example for extraction of natural products – and to switch between the respective columns and accordingly between their separation benefits. In addition to the integrated, three racks comprehensive fraction collector, external fraction collector can be integrated - for very large volumes or many factions. With the integration of the compact Gilson Liquid Handler GX-241 autoinjection, re-injection and fraction collection is possible on a device. Each PLC model comes with a preinstalled dual reciprocating pump with a flow rate of either up to 50, 250 or 500 ml / min and up to 300, 230 or 110 bar, respectively. which can even be retrofitted later. The PLC has two or four independent solvent inlets that allow isocratic elution as well as true binary or quaternary gradients. All model types are optionally available as chemically inert systems.